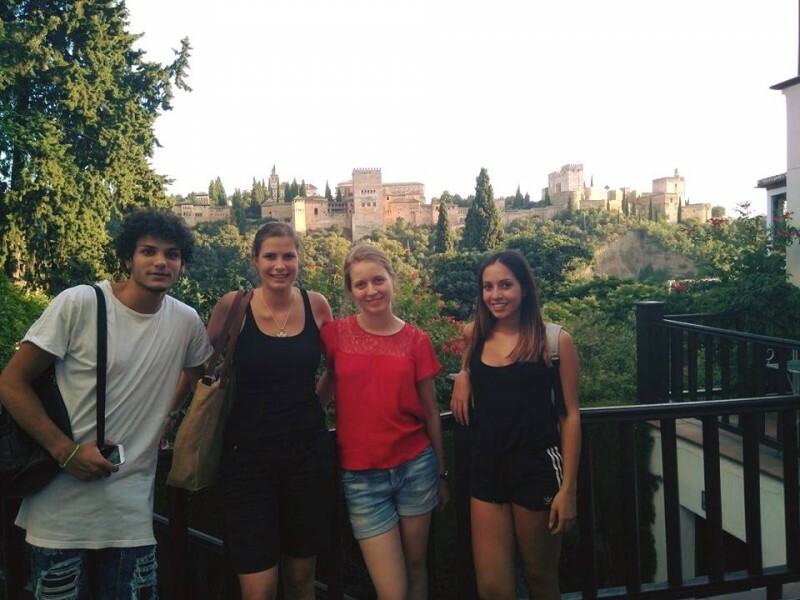 Linguaschools Granada is a small sized Spanish language school with a very friendly team. 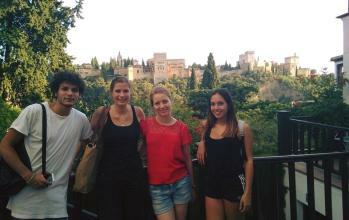 Since 1998 we specialize in teaching Spanish to foreigners in the centre of Granada. Based on 1 student reviews. "I'm Charlotte, from France. 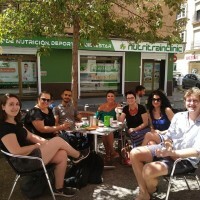 Thanks to a European grant, I spent 3 months in Barcelona and had the op..."
The intensive 20 is the most popular course. In this course you will have 4 lessons per day from Monday to Friday. Classes are a mix of grammar, vocabulary and conversation. 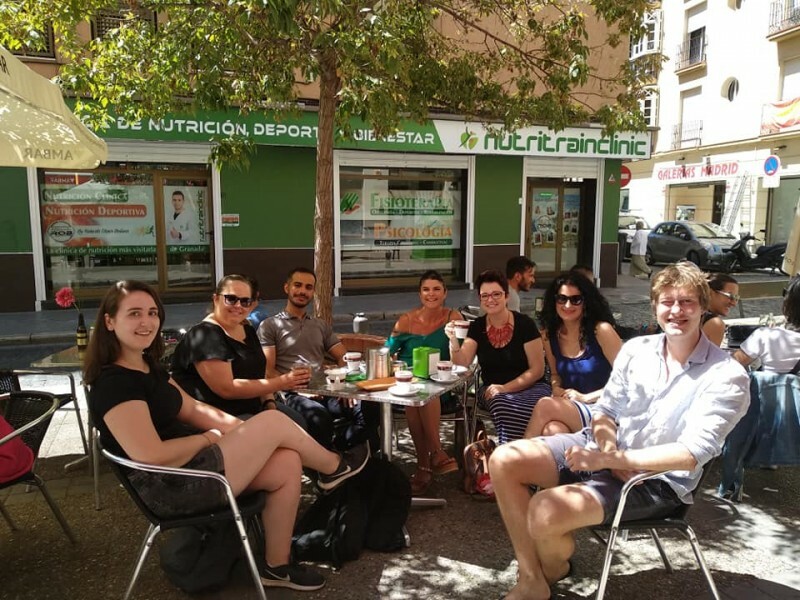 At the general intensive Spanish course, we occasionally go out and take the class outdoors. It's possible to book this course from 1 to 50 weeks. In the Intensive 20 + 10 course you will have two extra hours of particular lessons (besides the 4 group classes) with a teacher that will help you with any doubts you might have at your own pace and who will adapt to your needs. 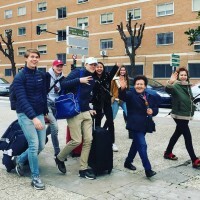 If you are looking for Spanish courses for special purposes such as business Spanish or Spanish in a medical environment, then this course is perfect you. The private lessons are usually scheduled right before or right after the intensive 20 Spanish course. If you have little time available and you want to maximize and fully customize your Spanish learning process, this is the right course for you. During the individual lessons, we would normally focus on the general Spanish, but if you need to learn Spanish for a certain profession, we can focus on any subject, such as Spanish for business or Spanish in a medical environment. We can be very flexible with the course timetable. In the DELE examination course you will be prepared for the official DELE exam by the Instituto Cervantes. The DELE exam itself can be taken in Spain or in your home country. You will have the general 20 lessons in a group (intensive 20 course) and 1 private lesson per day focused on the preparation of the DELE exam. Please note the fee for the exam is not included. 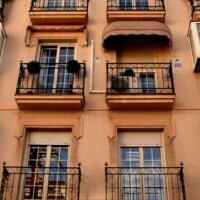 With this option you will be living with Spanish or other foreign people sharing common areas of the flat like the dining room, kitchen, and bathroom. You will have a single room at your disposal, and be free to live your daily life as you please, with consideration for the house rules of course. With this option you will be living with Spanish or other foreign people sharing common areas of the flat like the dining room, kitchen, and bathroom. You will have a double room at your disposal, and be free to live your daily life as you please, with consideration for the house rules of course. Only for people travelling together. 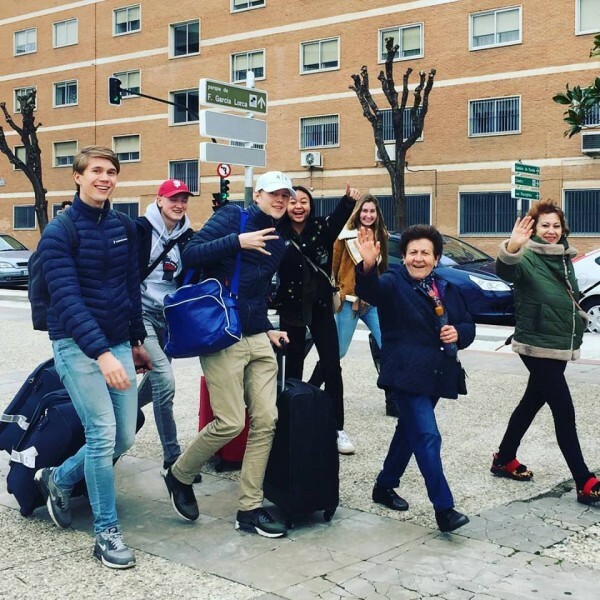 In a family stay you will practice your Spanish while learning how Spanish families live by taking part in their daily life. Having your own room and keys, students will enjoy this home-style experience yet still have the comforts of independence. But it must be understood that each student must adhere to the rules and customs of their Spanish family. Please mind that a family is not always the typical family, but can also consist of a divorced woman (with or without children) for example. The host family option with half board includes breakfast and dinner. Distance from the airport: 15 km. - Enrolment fee is non-refundable. - In case a visa is refused to the student, the school will charge 200 Euro and the remaining balance will be refunded to the student upon receipt of an original VISA refusal letter. Most recent booking for this school was from France and saved €12.00!